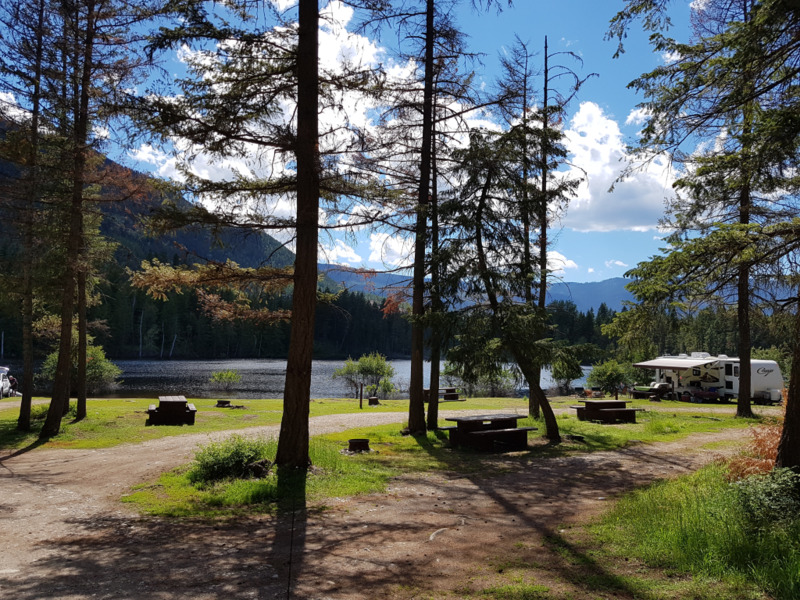 Site Description:Skimikin Lake Recreation Site is a medium sized semi-open site that is managed through a partnership agreement. The site has been developed for horses with several corrals and manure dumping locations. The trails associated with the site are multi purpose catering to ATV use and horse use but are not maintained. There is a care taker on site collecting camping fees from May 1 to October 15. 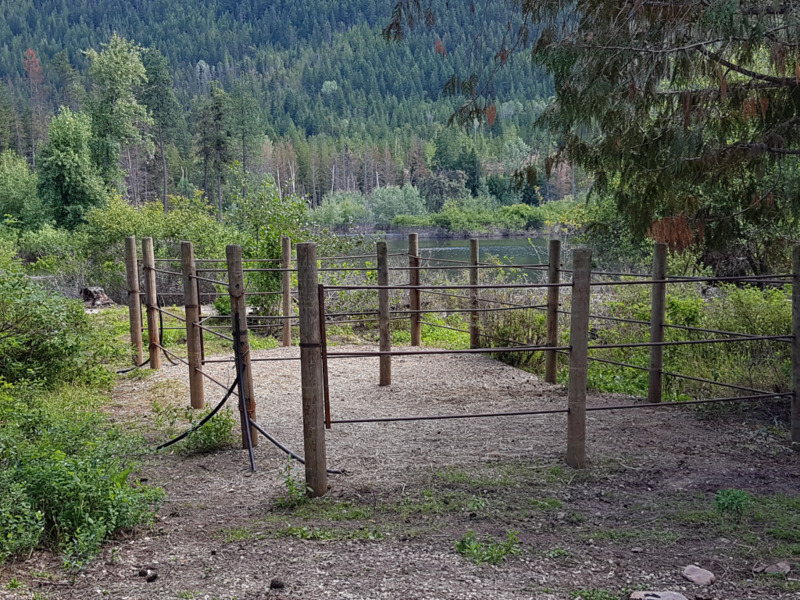 Regarding Horse Use: Horse corrals are on a first come-first serve basis, and if the adjacent campsites are in use by non-horse users, horse campers will have to find an unoccupied site to camp in. Water is not available on site, but horse users may bucket water from the lake or water their horses at the lakeshore. Horse users are responsible for cleaning up their own manure and depositing it in the allocated manure piles. 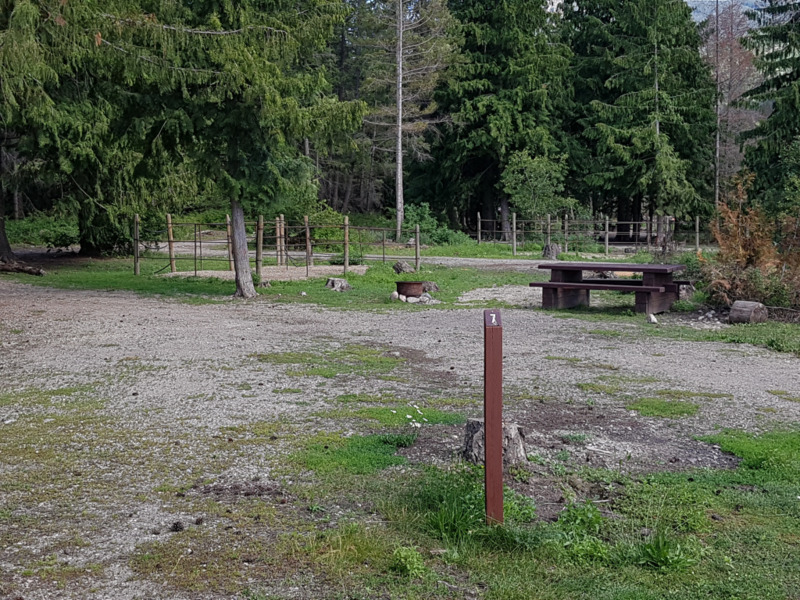 ATV's, Dirt Bikes, and OHV's are not permitted in the main campsite. They may only be unloaded and used in the west side of the Recreation Site. All OHV's use is restricted to main roads for commuting to and from the Recreation Site only. Idle in and out 20km/hr. Driving Directions: Exit Hwy 1 at Tappen Valley Road, drive 3.8 km, turn left on Skimikin Road for 5.8 km. All paved roads.